The outsides of the batter in each individual cupcake space rose far too quickly, spilling over the edge of the pan 5 minutes into bake time. The middles of the cupcakes stayed liquid throughout the entire baking process; it appeared that the middle hadn't even cooked! 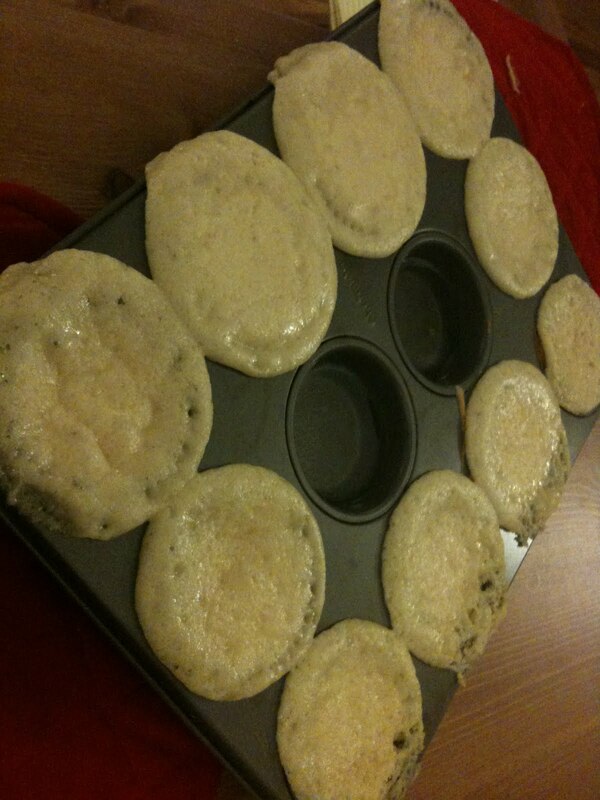 Instead, the oven appeared to have simply "warmed" the batter. When the cupcakes cooled (or, more specifically, when the weird goopy product cooled), they collapsed into nothing but a pile of liquid goo. To try and figure out what on earth happened, I decided to go back to the basics and start from the very beginning. I wanted to find out what each individual ingredient's role in the recipe and batter mixture was -- since atmospheric pressure and water's boiling point are lower in Denver, the recipe might be using too much or too little of one thing. For completely arbitrary reasons, I decided to make my first attempts calibrating the recipe by altering the proportions of the first three ingredients as listed in the cookbook. Let's take a look at the ingredients -- flour, sugar, and baking powder -- in more depth. When used in baking, flour contributes to the body and structure of the final product. It binds the recipe's ingredients together, creating gluten when its proteins blend with liquid. This gluten (a stretchy, elastic substance) then supports and structures the batter. According to Susan E. Purdy's Pie in the Sky: Successful Baking at High Altitudes, high altitude bakers frequently add extra flour to sea-level formulas in order to add strength to the batter. Adding extra flour increases the amount of gluten in the baked good, which will then prevent the cake from collapsing. Note that the Hummingbird Bakery recipe calls for 1 cup of all-purpose flour; perhaps adding a teeny bit -- maybe one or two tablespoons -- will provide the extra support needed to keep the cupcakes from collapsing in the way that they did? 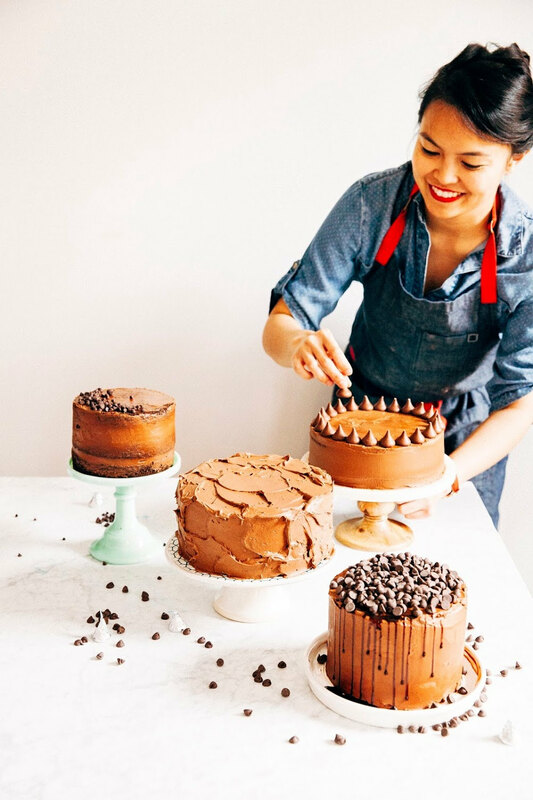 However, the addition of flour is still an incredibly tricky calibration to the recipe -- adding too much flour can toughen the texture of the cake, and we certainly don't want that. Unsurprisingly, sugar provides flavor, texture, and sweetness to the final product. It also provides an integral structure to the baked good, as well as serving several practical functions in the baking process. For instance, almost all recipes call on the baker to cream together sugar and butter. According to the Joy of Baking, the purpose of creaming is to get air into the cake's batter. Sugar granules rub against the fat, producing air bubbles that eventually cause the cake to rise in the oven. Later, these air bubbles enlarge when leaveners like baking soda and powder are added. Pie in the Sky also warns that sugar attracts moisture, which in turn reduces the amount of gluten formed in the batter. Less gluten produces a lighter batter that will rise more in the oven. However, this lighter batter also means that the baked good has a higher tendency to collapse, especially when it expands too quickly without structural integrity. Too much sugar can therefore be dangerous at high-altitudes, since the sugar has the ability to weaken the batter's structure. Note the high concentration of sugar in the Hummingbird vanilla cupcakes recipe -- no wonder my cupcakes collapsed during the cooling process! The book also explains that sugar interferes with egg protein's coagulation and needs more heat to set. I have no idea what "egg protein's coagulation" actually means, but I get the gist of it: the more sugar in a batter, the more heat is needed to set the batter. That might explain the weird, wet, undercooked middle of my control batch, especially considering that the cupcakes are baked at the rather low oven temperature of 325 F. It's probably a good idea to increase the temperature of the oven in order to get the cakes to set more quickly. My boyfriend also suggested that I simply decrease the amount of sugar in the recipe -- you know, considering all the potential problems that sugar can cause at high altitudes. But since I'm such a sugar fiend, I'm not sure I want to do that just yet. I frequently mention something called a "leavening agent" in this blog. These are chemicals like baking powder and baking soda that produce air, steam, and carbon dioxide gas in batters, causing them to rise when baked. Leavening agents also enlarge bubbles present in the batter from the creaming process, as I mentioned in the previous section about sugar. The Joy of Baking explains that baking powder consists of baking soda and acidic salts like cream of tartar or sodium aluminum sulfate. These salts react with liquid when it is added to the batter to create carbon dioxide gas. The gas will then cause bubbles in the batter to enlarge. A second reaction also occurs in the oven -- the same gas cells expand and cause the cake batter to rise. 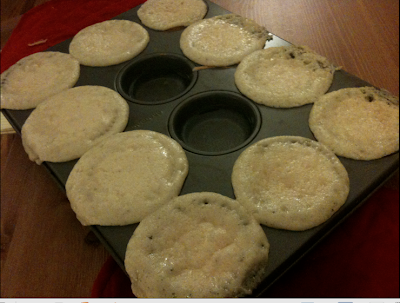 Too much baking powder can therefore cause the batter to rise rapidly and then collapse, as air bubbles in the batter grow too large and break. To add complications to the matter, remember that air pressure lessens at higher altitudes. According to Pie in the Sky, when there is less air pushing down on the batter, it can rise much more easily. The higher the elevation, the less air resistance, and the more easily the baking powder will work. 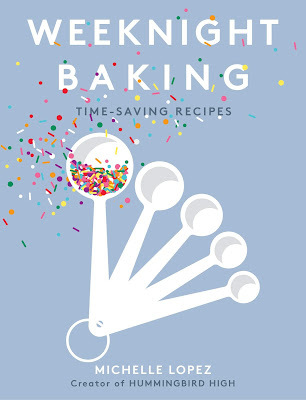 Purdy, author of Pie in the Sky, advises that the amount of leavening in most sea-level recipes must be reduced at higher altitudes to prevent the baked goods from over-rising and collapsing. The 1.5 teaspoons of baking powder that the Hummingbird recipe calls for seems generous; the American recipes that I tend to favor (this or this, for instance) use smaller amounts of leavening agents in the recipes. I hypothesized in another part of my blog that Hummingbird cupcakes taste differently from American cupcakes because of the bakery's generous use of baking powder. Messing with this step is going to be extraordinarily tricky, especially if I want to maintain the Hummingbird cupcake's unique taste. It seems that the Hummingbird Bakery's recipe for vanilla cupcakes are INCREDIBLY dependent on ingredients that cause the batter to rise up, up, and up! While such proportions might work at sea-level, they definitely need to be altered at higher altitudes. So, after our faux-chemistry/food science lesson, what did we learn? More flour, more heat, less sugar, and less baking powder = more structure, less rise, less goop. That should fix all my problems, right? I am appreciating on great approach of it and with the scientific analysis and essay paper writing service available for students. Wow very impressive article and dissertation help also choice to students who getting education online.